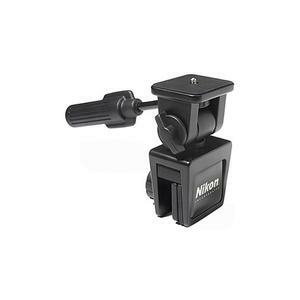 With separate locks for the altitude and azimuth axes, the Nikon Car Window Mount makes precise positioning of your binoculars, telescope or digital camera simple. It can be mounted to any car window for steady viewing, and its padded clamps will not scratch the window surface. Its construction is sturdy and rugged for stability and lasting durability. With smooth pivoting and tilt adjustments, the Nikon Window Mount permits viewing at any angle.